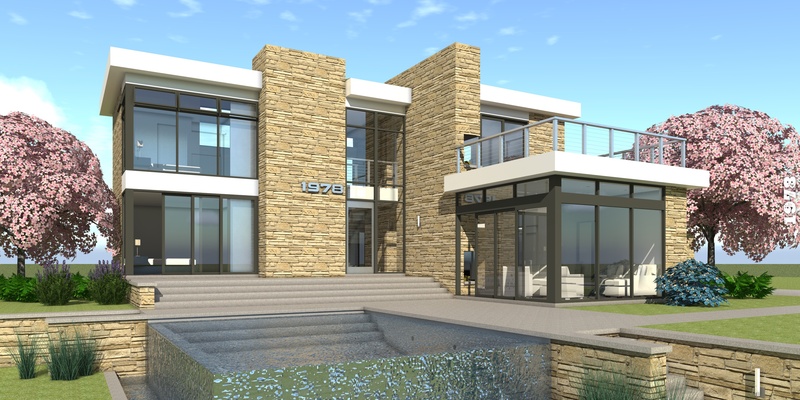 1978 is a vintage modern design featuring an open floor plan, multiple entertaining terraces, and glass walls throughout. The entry wraps around the infinity-edge pool and terrace. The lower floor features a spectacular glass office/bedroom, guest bath, and sunken kitchen / entertaining area. The upper floor features two unique bedroom suites. The Master Suite has a glass shower with two ceiling-mounted shower heads, and an outdoor fireplace sitting terrace. 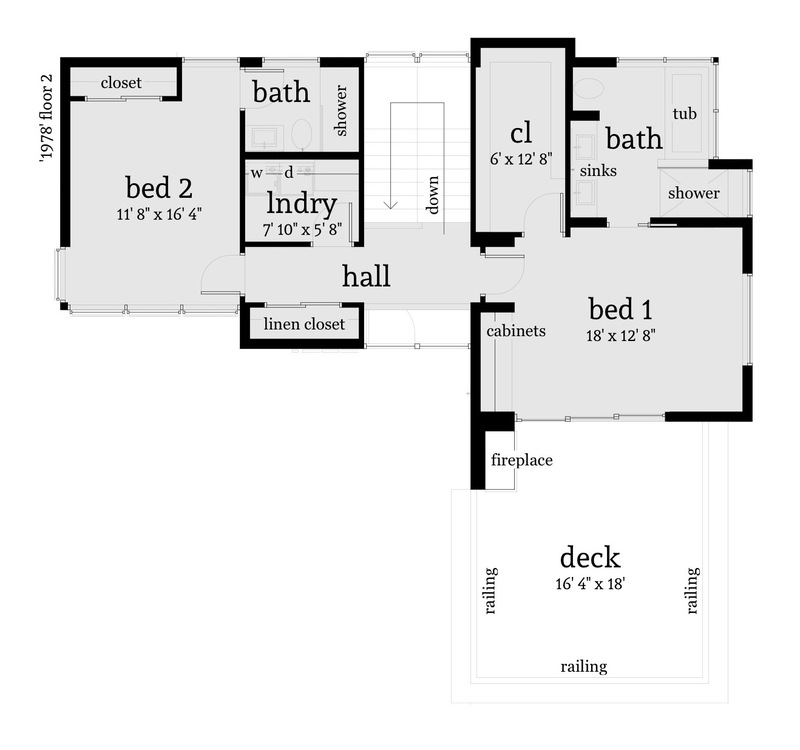 In 2009, this plan was featured on the Houseplans.com blog. 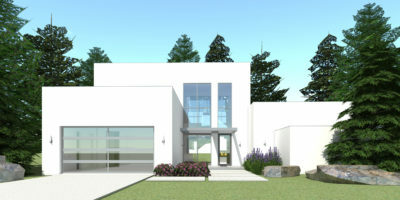 In 2008 this plan was featured for Modern House Plans and Contemporary House Plans on Houseplans.com. 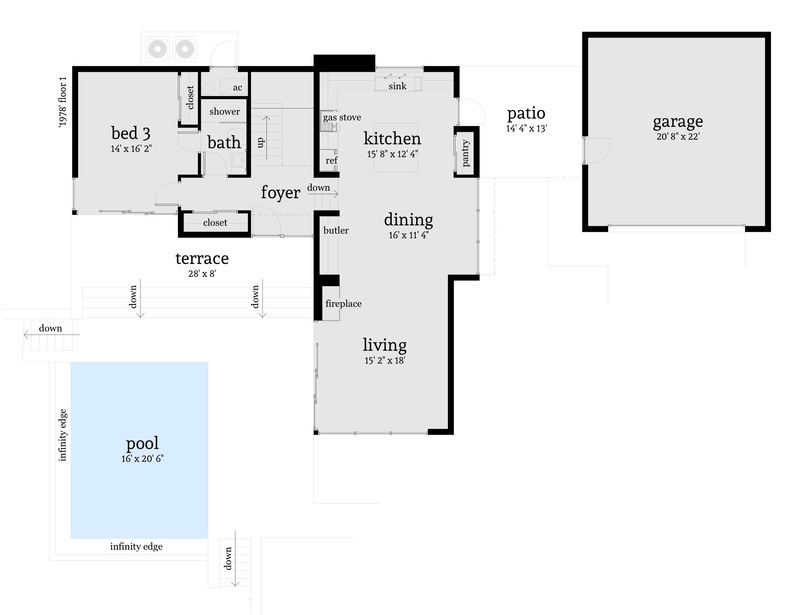 In 2006, this plan was featured in the Orlando Sentinel as Design of the Week. 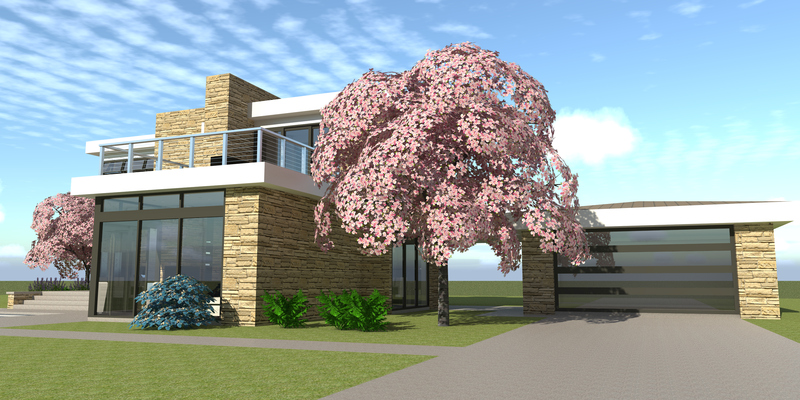 This plan is designed with a concrete slab on grade. The second floor system is pre-engineered wood trusses. The exterior walls are wood framing with r21+ spray foam insulation. Beachfront property in Finns, Manitoba is now home to the newest build of the 1978 plan. View more about this plan, or view all 1978 photo albums. A highly-modified version of our 1978 plan was built in Exeter, California.